A poet can be defined as one who expresses thoughts and feelings with the use of words. The definition of poet is quite broad, but the element of every type of poetry is words. Words are what make up any poet’s arsenal. 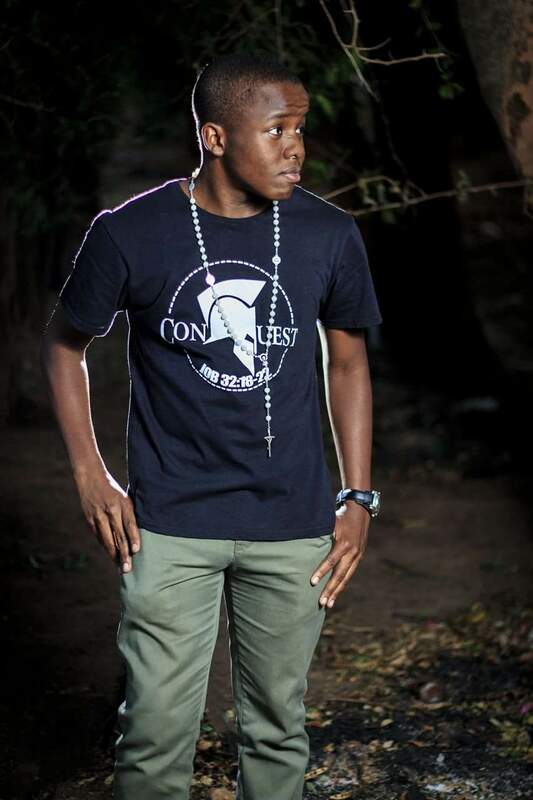 Spoken word poetry is one example of an art form that is growing in Zambia. With its growth, poetry competitions called poetry slams are held. In poetry slams, poets battle each other using their own poems and unique word play in the midst of an audience. On the 23rd of December 2017, BitterSweet Poetry Zambia hosted its annual Poetry Slam dubbed “The Ultimate Poetry Slam” in 2017 at Mulungushi International Conference Centre. 8 contestants were picked to battle it out for the top spot. Musenga ‘MessenJah’ L. Katongo was among the 8 contestants who battled, and ultimately came out as number 1. The 8 poets were divided up into pairs and the entire competition ran for 3 rounds; each round had a specific theme the poets had to use for their poems. The slam competition round winners only won by a higher crowd cheering than their opponent. In each round two poets faced each other, and the winner won by having a crowd chant or cheering higher than the other. 3 judges were present and allowed to intervene in extreme cases such as when the audience fails to decide a winner through cheering (tie). The first round’s theme was ‘Colour.’ MessenJah (Musenga) was drawn against TarliQue (Peter). MessenJah went first and delivered an interesting and witty piece on colour. He describes the piece as an allegory about black pride and neocolonialism. The piece captured the audience’s attention with a catchy refrain: “she added colour to my life.” The poem became nothing short of dramatic when MessenJah said “but notice that my poem has been in the past tense. That’s because her dark skin transformed into darkness. It became the root of her oppression and she was nailed with a stereotypical jargon.” MessenJah established a connection with his audience and left the stage in style. MessenJah’s competition, Peter, recited only a few lines from his poem on colour; Peter found it difficult to recite his poem and had some pauses on stage. Peter was allowed another chance on stage. However, he energetically recited a completely different poem after failing to deliver his initial slam piece. MessenJah won by having a higher crowd cheer than Peter. Before MessenJah and TarliQue left the stage, it was then revealed to the audience that Peter was disqualified by the judges the moment he decided to recite a completely different poem. MessenJah qualified for round 2. In round 2, MessenJah competed against Augustine Lungu. The theme of the second round was ‘Angels and Demons.’ MessenJah went first and recited a personal and emotional piece that made many in the audience introspective. The piece is what he calls “a personal account in which I tell of how ‘angels’ and ‘demons’ influence how I handle the passing of my dad.” MessenJah’s competitor, Augustine, was equally confident on stage. Augustine had excellent delivery and delivered a conscious piece that can be said to be social commentary, but it was MessenJah who was the fan favourite yet again. Augustine was knocked out while Musenga proceeded to the third and final round. The third and final round had the two finalists go head-to-head: Zodo (Malaizyo) and MessenJah. This was the anticipated final matchup with the theme ‘Civil War.’ Zodo was first, and delivered his poem which the audience appreciated. MessenJah once again managed to connect with the audience using another catchy refrain; “this means war!” MessenJah’s civil war piece was a commentary on the popular trend ‘Men Are Trash’ and a call to men to be chivalrous. The piece was delivered brilliantly and with confidence. The impact of the poem was so great that it left the audience chanting “this means war!” MessenJah had a higher crowd cheering than Zodo and beat Zodo. There was excitement and joy in the air as the audience was happy to see their fan favourite receive what they believe he rightly deserved; the first position. All in all, the other 7 poets made a really tough and entertaining competition. What set apart MessenJah from the other poets was his composure, confidence and delivery. MessenJah showed us that the poems he delivered were really his; he owned them. Congratulations to MessenJah for being the winner of the 5th BitterSweet Poetry Slam. This is not the last time we will hear from him.